The day I left for America, a huge box arrived at my house. There was much speculation among the missionaries as to what might be inside. Christmas gifts? Goodies? Hospital supplies? Everyone was certain it was something good. Yesterday, I returned and the mystery was solved. An overwhelming rush of emotions caught me as I pulled out one beautiful, handmade blanket after another. They were made by women from Garden City, Kansas. They had heard about the street kids and wanted to be a part of helping them. Tonight, we waited until all the kids would be trying to get to sleep. Around 11 pm, Bereket, Abiti, Allison Karnes, Kebede (friend and huge helper with the boys), Aschalo (driver) and I went out to the streets. The boys brought us to a street corner. We could see them laying on pieces of cardboard boxes, with remains of plastic sacks over them. At first, I thought there were maybe 15 kids, but there were closer to 50 kids. We counted the blankets before we went but I forget exactly how many there were… I think 48. They were gone within minutes. Some of the boys with their new blankets. Notice even the box that they were sent in is now being used to keep them warm. Allison gathered all the kids around to ask them if they knew why we were giving them blankets. One little boy responded that it was because they were cold. Yes, very true. We were giving them blankets because they were cold, but we also wanted to remind them that Jesus loves them. There are millions around the world that I can only imagine feel abandoned by everyone, including or even especially God. How could these kids be without homes? Are the birds better cared for? 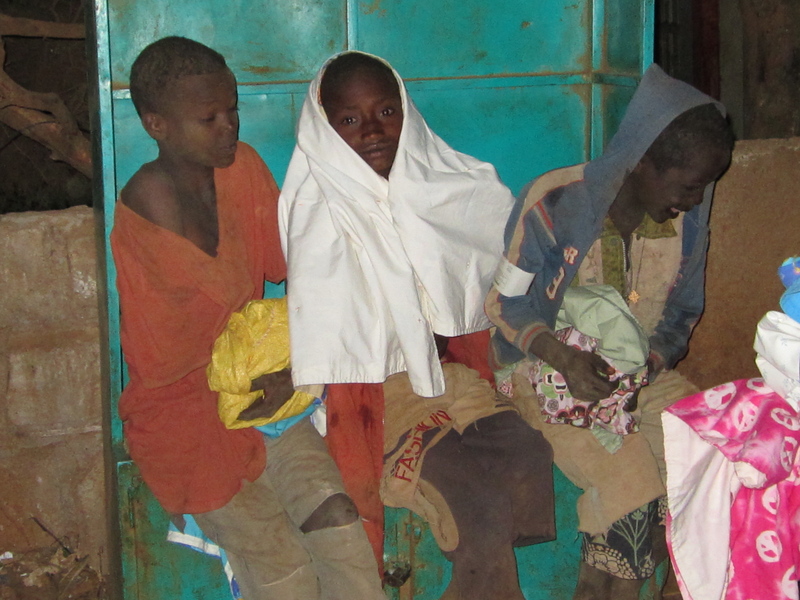 If these children are so valuable, why are they struggling daily just to get food? I cannot claim to understand the injustices of poverty or how it all fits into God’s plan. I can only trust that He loves us all and wants what is best for us. God has called us all to care for those around us in need. Tonight, these women from Garden were the hands of God that are providing warmth for a bunch of street kids. Wonderfull people make this world a better place!!! Thank you Sandra for sharing Stephanie’s posts with your family and friends. 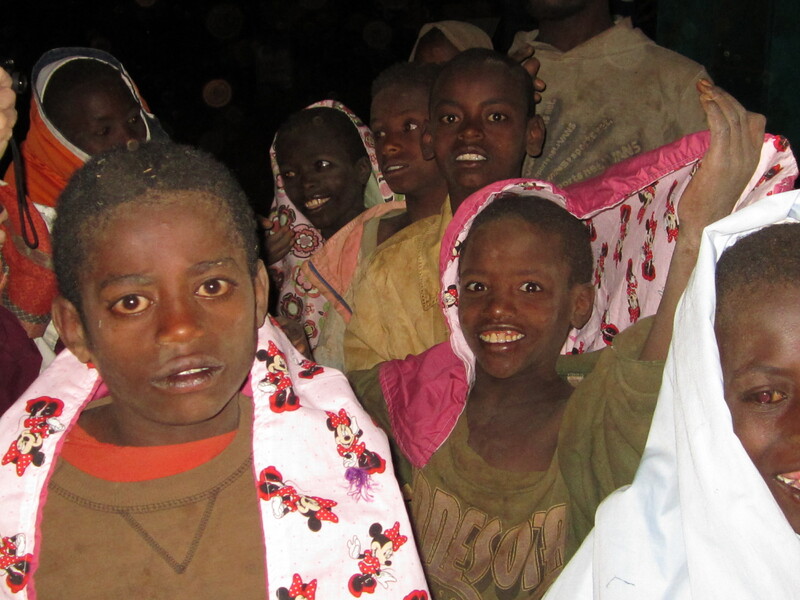 These blankets are truly a life sustaining gift for these children with nothing. God bless the hands and hearts and lives of those that had a part in making these blankets. God bless you, Stephie, for being God’s hands and feet in Ethiopia! God bless those wonderful Kansas people! Awesome! Thank you for sharing your life in Soddo on your blog. Thank you, again, Stephanie, and a big shout out to those women. Love to see Jesus in action! Blessings on you and your ministry that’s reached so far beyond one clinic. Jesus looks good on you, Stephanie! this post moves me so deeply…thanks for sharing. 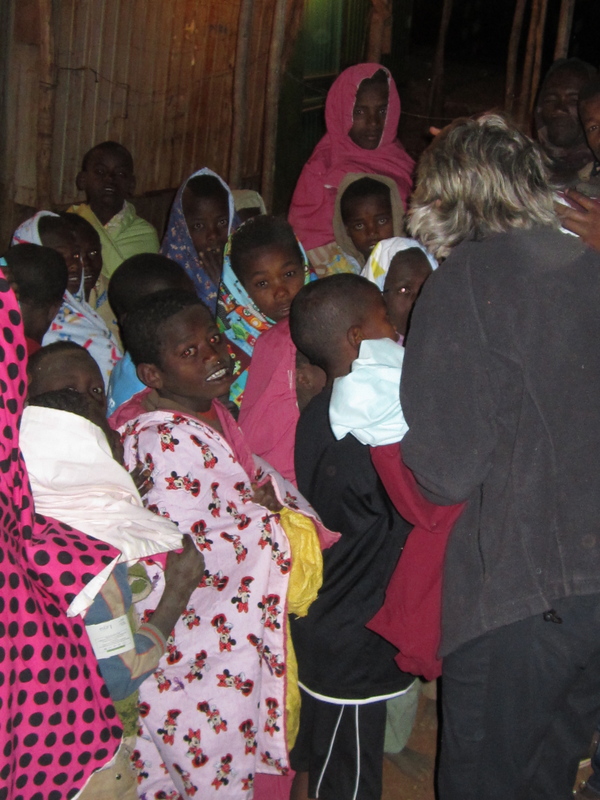 How wonderful to see the actual kids who received these blankets! Dr. Stephanie, i have been reading through this articles with tears in my eyes. i am a Kenyan student currently pursuing Medicine and Surgery in Kampala International Teaching Hospital. I am now in my forth year doing clinical rotations. What you are doing for the people has been my dream since i was a child, i want to serve people and show them the Love of Jesus Christ. I thank God for leading me into this site because i have realized that God has used others too to do the work He placed in my heart. Dr. i wouldn’t mind if you guide me on the best field to specialize in medicine and how i can use the skills acquired in the medical school to reach out to the lost souls. I would also want to volunteer after graduating because it takes time in Kenya before you are posted to do internship. What procedures should i do to volunteer myself after graduating. God bless you abundantly so that you continue to be a blessing to the world. thanks.